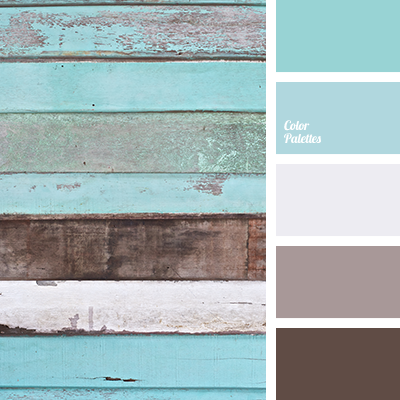 Cool palette in which muted turquoise and soft blue colors dominate. 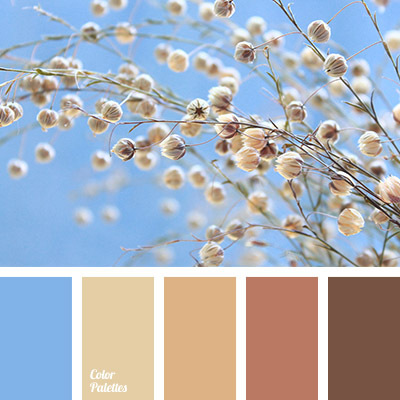 Subtle, harmonious combination of sky blue and earthy gray-brown shades calms and creates an atmosphere of trust. 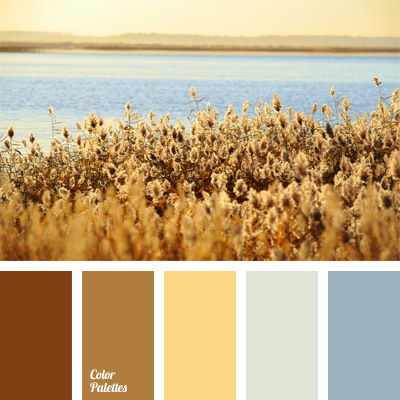 This color scheme can be used to design a bedroom with windows looking on a sunny side. 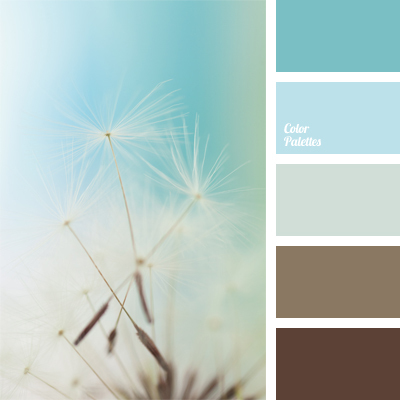 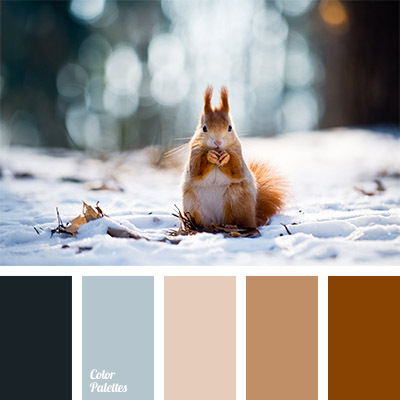 blue and brown, Blue Color Palettes, bright turquoise color, brown, brown and blue, brown and turquoise, gray with a shade of blue, gray-blue, gray-brown, pastel brown, shades of blue, shades of brown, sky blue, turquoise, turquoise and brown.